Sites T1, T2, T3, T4, T5, 25, 26, & 27. There are 13 walk-to waterfront sites that sit on or very close to the river's edge. 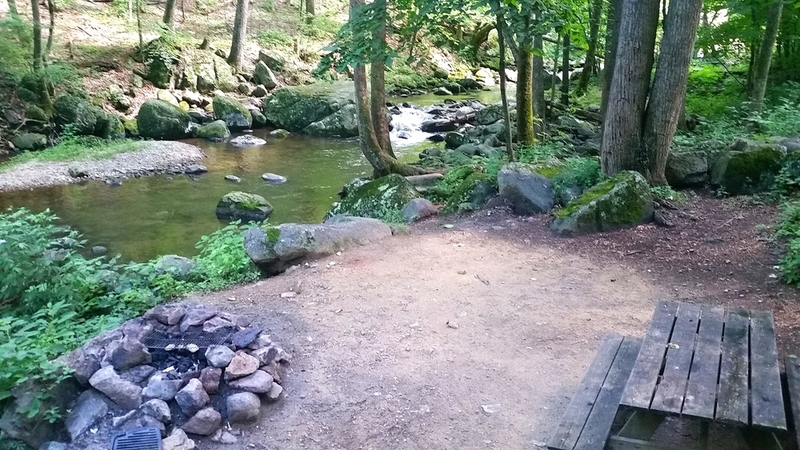 These are the most desirable sites in the campground with the gently rolling river only a few feet away. The store, bathhouse, and parking are within easy walking distance. Sites 28-32 sit 8' to 12' above the water on a very steep bank. Because of the steep bank, we do not recommend this area for families with toddlers or young children who may be at risk for falling. Waterfront sites do NOT have vehicle access. Sites 9, 22, 23, & 24. The remaining 4 tent sites available are not drive-to and do not provide water or electric hook-up. Sites 9, 23, and 24 are considered small sites and only allow for one tent. Site 22 is larger and can accommodate a large tent or multiple small tents. These sites also provide river viewing, with 23 and 24 also situated beside a small creek. These sites do NOT have vehicle access. We have 10 sites along the campground road, most of which offer water and electric hook-up for an additional fee. These sites are ideal for pop-up campers or those that want to park close to their tent. These sites are closer to the playground, bathhouse, and store. Some of these sites have a view of the river while others offer limited river viewing during the foliage seasons. Sites 11, 12, and 21 are ideal for those wanting electric hook-up, close proximity to amenities, and to park their vehicle on their site. 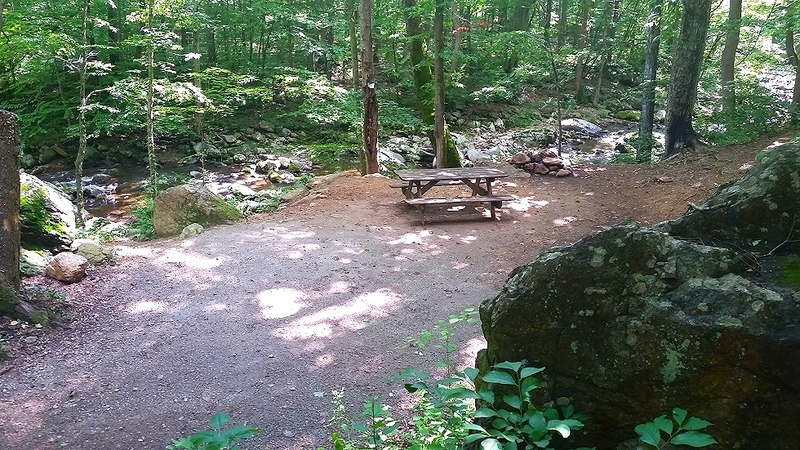 Each site has a fire pit and picnic table. Grill tops are not provided. Not all sites can accommodate multiple tents. When making your reservation, please include number of tents and tent size in your reservation request (i.e. - 6 ft x 8 ft). We DO NOT have tents for rent. Pets are allowed. Please read our Pet Policy thoroughly before bringing your pet. Our facilities and accommodations are not ADA Compliant. *Fees are per extra tent or extra adult. The option to add a 2nd tent depends on size of site and size of tents. Reserve your little slice of Heaven. Please note that our facilities are not ADA Compliant. Website is powered by Squarespace.